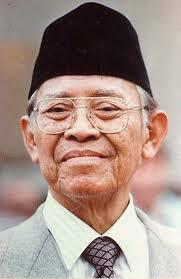 Bapak Muhammad Subuh Sumohadiwidjojo was born at dawn on June 22 1901, near Semarang in Central Java, Indonesia. The name Subuh means 'dawn' and Bapak, means 'father'. In 1925 Bapak received a revelation from Almighty God. He was walking late one night when he found himself enveloped in a brilliant light which came from above. He looked up and saw a radiance- a ball of light which looked very much like the sun in the daytime. It descended very fast and entered through his head. This was followed by a period of intense spiritual experiences and spontaneous receiving, which he later named the latihan of Subud. After following this inner training for some time, Bapak understood that it was not for him alone, but to share with all humanity. He then freely transmitted the contact to anyone who requested it. In 1955 Subud came to the west and people started to be opened (receiving the Subud contact), first on the island of Cyprus, and in the following year, in England. Bapak came to the west for the first time in 1957 and then Subud spread all over the world. Bapak traveled frequently and on his journeys he gave talks and explanations and accompanied the latihan of Subud members. Bapak died on June 23,1987 in Java. Bapak's eldest daughter Ibu Siti Rahayu Wiryohudoyo, born on 13 March 1928, continues to encourage Subud members by giving advice and explanations. four years, hosted in many countries including England, USA, Japan, Indonesia, Germany, Canada, Australia, Columbia, Austria, New Zealand, and Mexico. Subud continues to spread, for the contact can be passed on by helpers, members who are specially assigned to carry it out. From On the Subud Way: Explanations and clarifications by Bapak and Ibu Rahayu.